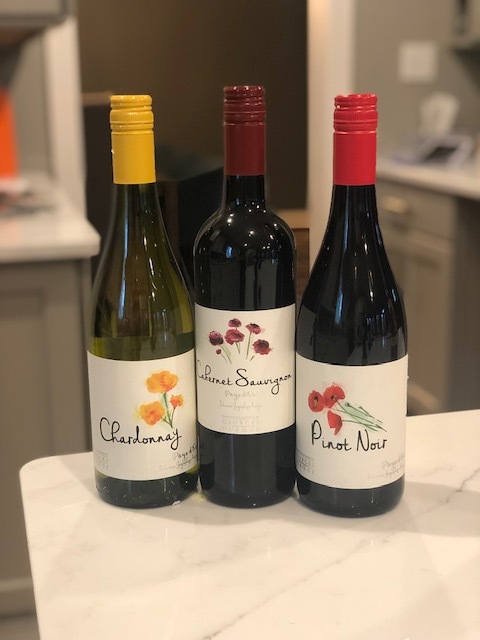 The holiday season is here and you need wine. Whether it is pairing your feast or a great wine to bring to a holiday bash, we've got you covered. Dashing through the snow, sipping red, white and Rosé, to the parties we'll go, laughing all the way! 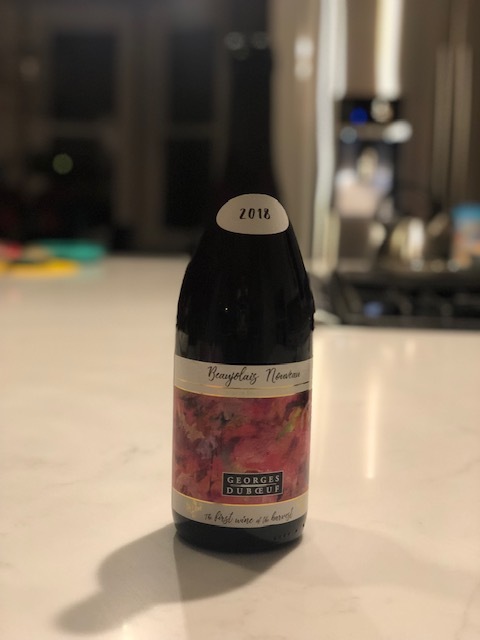 Georges Duboeuf Beaujolais Nouveau 2018: Vibrant red fruits such as strawberries and currants on the palate and an intense perfume make this wine a perfect accompaniment for cheese, charcuterie and traditional holiday fare. I love this winery. I haven't tried anything I didn't like. 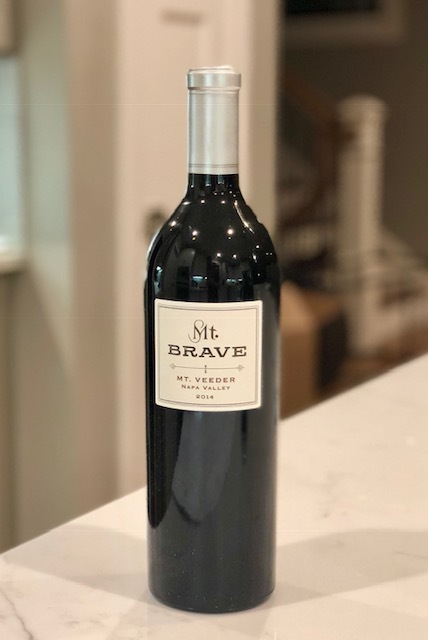 2014 Mt Brave Merlot "Mt Veeder": Flavors of dark chocolate and boysenberry, with great acidity and structure lift this wine on your palate. The long, steady finish exhibits why mountain Merlot stands alone. This is a beautiful wine. Should be shared with people you love. 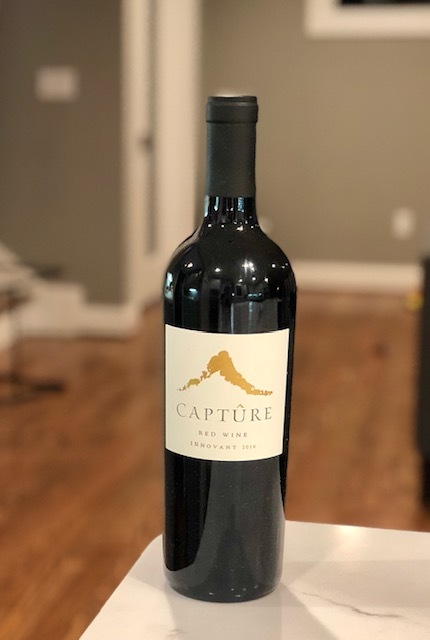 Capture INNOVANT 2014 RED WINE: A Bordeaux-style blend, Innovant captures the elegance and distinct character of Sonoma County terroir. Carefully selected lots of Cabernet Sauvignon and Merlot from our Alexander Valley vineyards offer aromas of bright red fruits and spice. Flavors of blueberry and peppercorn combined with silky, elegant tannins give this wine a structured, long finish. I love opening big reds for the holidays. 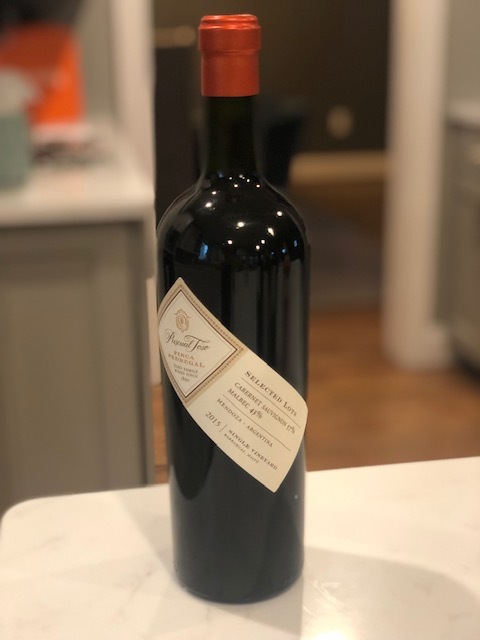 Pascual Toso Finca Pedregal 2015: This wine of notable pedigree has its origin in a unique vineyard, in the highly regarded area of Barrancas, in the Mendoza region.This area has an extremely stony soil and the terroir bestows on the wines a greater concentration of fruit. The result is this exclusive blend of Malbec and Cabernet which is made with great care. This premium wine has great distinction and exceptional potential. 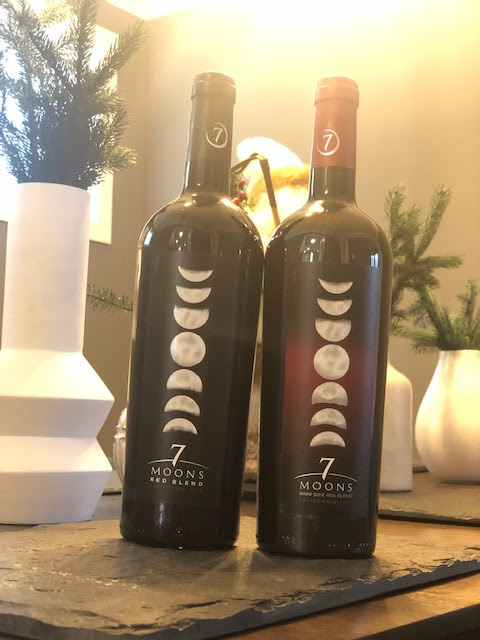 2017 7 Moons Dark Side Red Blend is a rich, easy-drinking wine for any evening of the week and offers a darker, bolder flavor profile than its sister Red Blend. 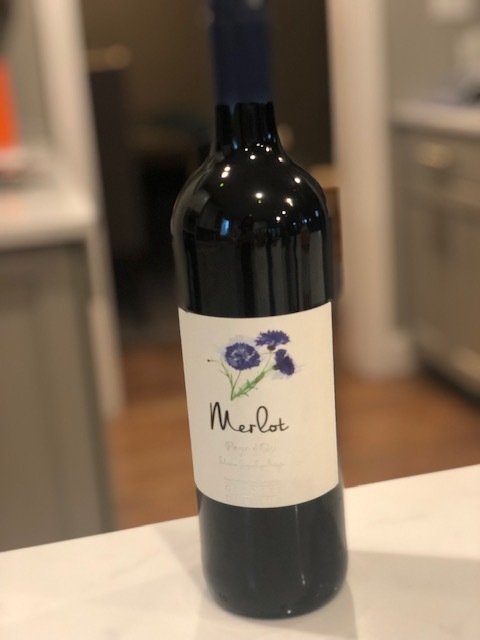 This wine opens with aromas of currant, blackberry, and toasty oak, with flavors of dark berry, caramel, and brown sugar following through to a smooth, rich finish. 2016 7 Moons Red Blend has aromas of chocolate-covered cherries, baking spices, and vanilla bean to heighten the senses. Notes of strawberry preserves, cherry cola, and milk chocolate follow through to a fruit-forward, lingering finish. These are good options to have at your party. Jackson Estate Hawkeye Mountain Cabernet Sauvignon: Deep black cherry, cassis and red currant flavors with graceful mineral tones. Artistically extracted, elegantly muscular, with chewy, soft tannins. The Hawkeye Mountain Cabernet Sauvignon is sourced from Sonoma County's volcanically-derived Mayacamas Mountains, Hawkeye Mountain vineyard is perched high above the valley floor on drastic slopes. Try it with prime rib. Georges Duboeuf Pinot Noir Varietal Pays d'oc 2017: This Pinot Noir features a bright ruby color. It exudes aromas of red fruits, especially cherry and wild strawberry. With an elegant and luscious mouthfeel, the fruit-forward palate has notes of spice from the French oak. Unctuous and delicious through the finish. I love both the smell and the floral taste that lingers after each sip. Georges Duboeuf Cabernet Varietal Pays d'oc 2017: This Cabernet Sauvignon boast a shimmering, deep ruby color and aromas of black cherry jam, spice and vanilla. With a bold and luscious mouthfeel and silky tannins, it benefits from a subtle touch of French oak. There are notes of bitter cocoa on the finish. This is a lovely wine! Georges Duboeuf Merlot Varietal Pays d'oc 2017: This Merlot has a shining, deep ruby color and aromas of dark fruits like plum and cassis, with spice and hints of oak, licorice and cocoa. Full-bodied and concentrated, it has a luscious mouthfeel and silky tannins, with a touch of sweetness on the finish. 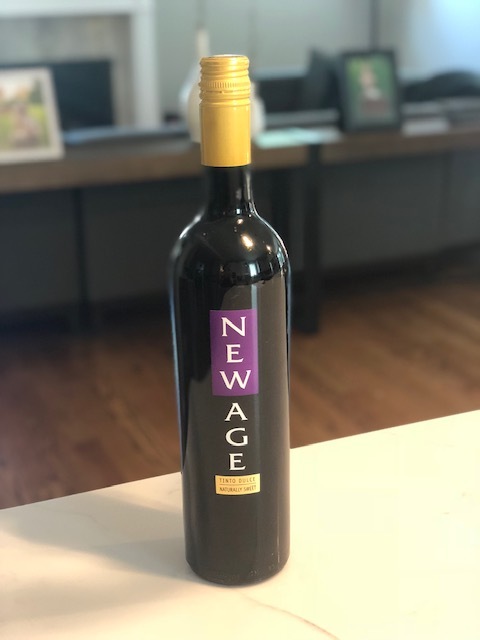 Valentin Bianchi New Age Red: An exciting red blend possessing the juicy freshness of just- picked cherries and raspberries on the palate. The aromas of roses and violets round out the nose. Saves this for friends that like something a little sweet. 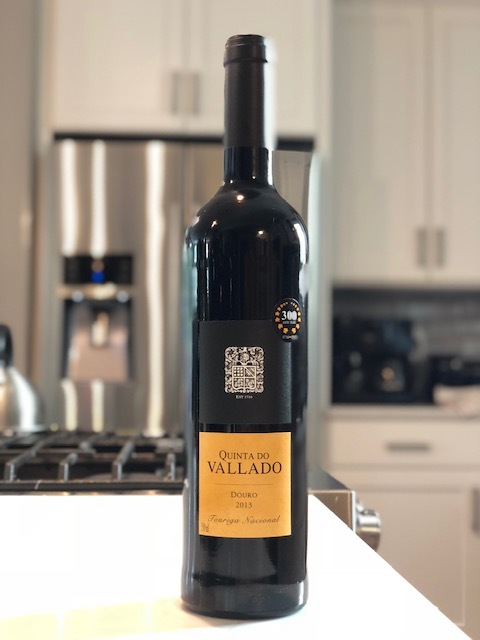 Quinta do Vallado Touriga Nacional: With a dark crimson color, the Quinta Do Vallado Touriga Nacional boasts great concentration and aromas of bergamot and wild fruits, with floral (violet) and spicy hints. The taste is elegant, fruity and round, with silky tannins. It is a very balanced wine, with a long, fresh finish. 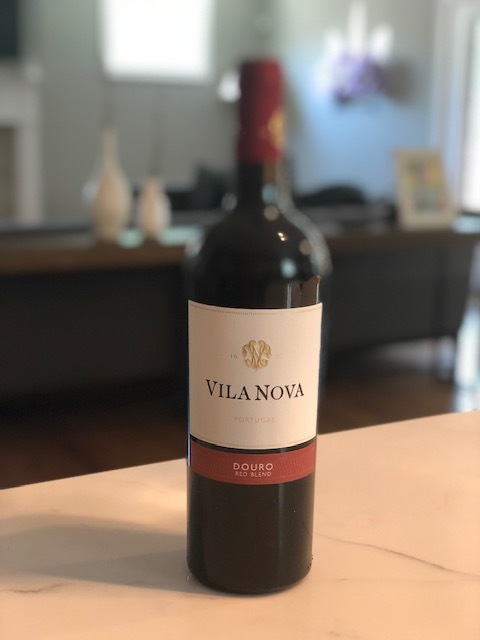 Vila Nova Douro Red 2015: This fresh red wine has a dark, deep and intense ruby color, with a nose dominated by fruity aromas that carry through to the mouth. It is well-balanced with silky tannins. 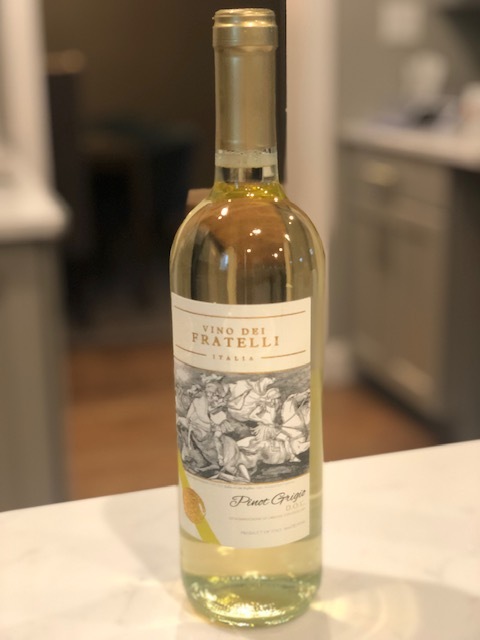 Vino dei Fratelli Pinot Grigio: Pale straw-yellow in color, Vino Dei Fratelli Pinot Grigio has a bright and slightly flowery fragrance. 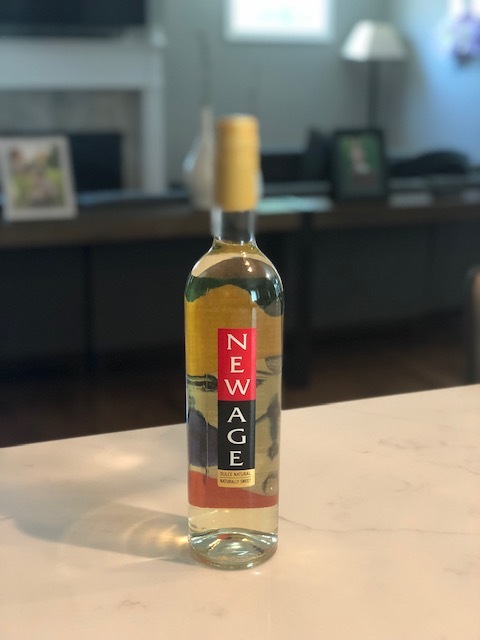 Firm acidity gives this Pinot Grigio a mouth-watering appeal, with good mid-palate balance, and a clean, crisp finish that is typical of the varietal. Jackson Estate Camelot Highlands Chardonnay: Grown on the hillside above the Santa Maria Bench in Santa Barbara, the premium blocks of the Camelot Highlands Chardonnay vineyard are dedicated to the Jackson Estate bottling. The ancient vines in these blocks have struggled through daily dense fog for over forty years on their own roots stretching down to the prehistoric, seabed soils below. Pineapple, mango and papaya with a creamy, lush, rich palate. Notes of cinnamon, candied lime and vanilla crème brûlée create an appealing and lingering finish. Georges Duboeuf Chardonnay Varietal Pays d'oc 2017: This Chardonnay shines with a buttercup yellow color. Aromas of fresh fruits, crisp apple, peach, citrus and toast from French oak are pronounced. It is smooth and creamy, with a clean finish. Chardonnay is a perfect holiday wine for pairing because of all the creamy dishes served. Valentin Bianchi New Age White Wine: New Age White is a light yellow-green colored wine, with fruity and floral aromas of great intensity. Balanced acidity leads to soft, semi-sweet and slightly effervescent flavors and mouth feel. It is an extremely refreshing, vivacious and sensual wine. For your relatives that like a sweeter wine, this is a good option to pour. 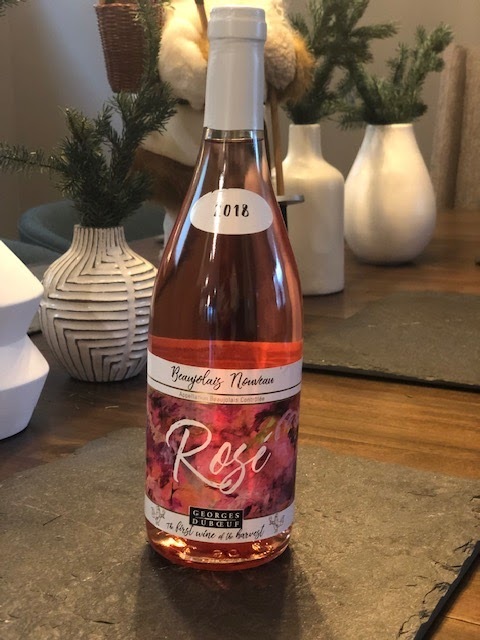 Georges Duboeuf Beaujolais Nouveau Rosé 2018: Crisp, fresh and thirst-quenching, Beaujolais Nouveau Rosé has notes of white peach and citrus. It is always great to have rose around for your feast because it pairs with so many flavors.